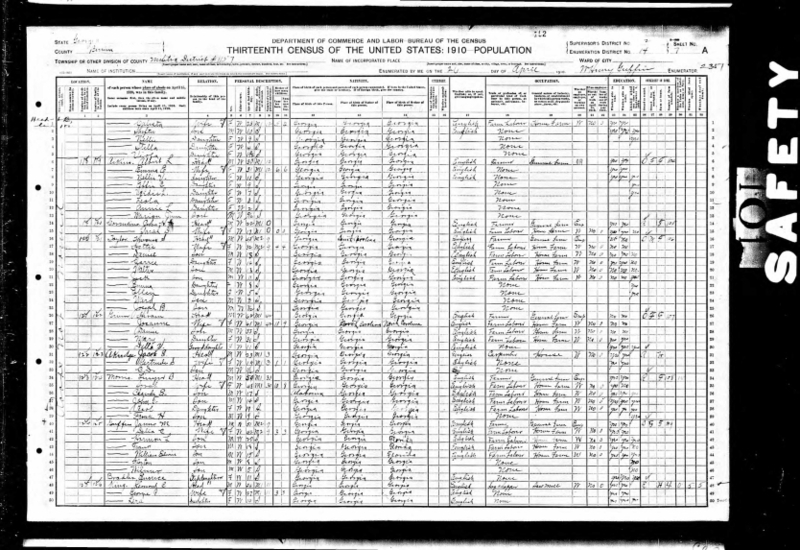 Hattie's age in this Census raised a question: Was it an error on the part of the enumerator or was it an error on Hattie's information? 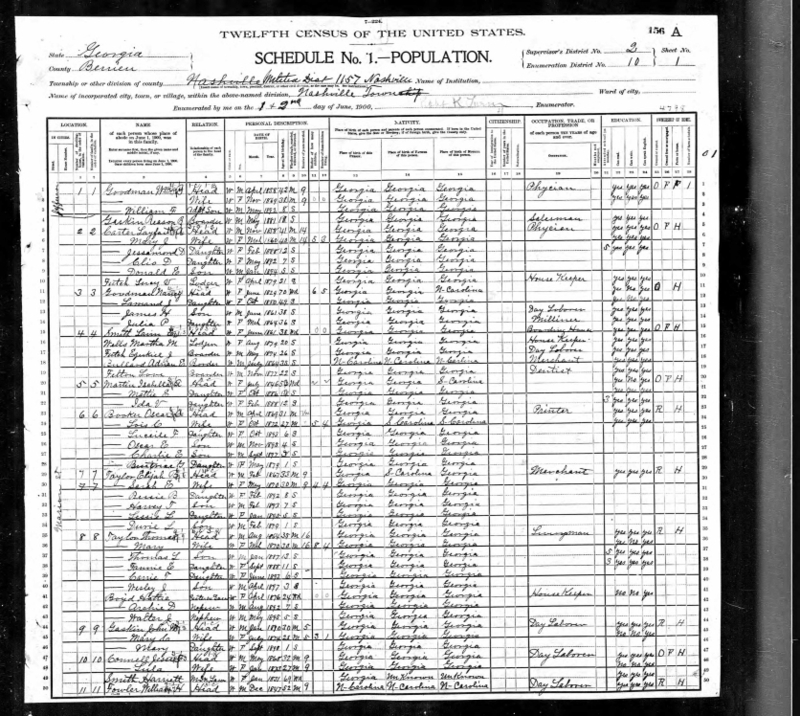 Whatever the case, it was not repeated on the 1940 Census. [s48] Ancestry.com Family Trees, Database online. Taylor Family Tree. Given that the index reports her age at death as 88, it would seem that Ancestry trees reflecting her birth in 1863 are in error. [s48] Ancestry.com Family Trees, Database online. Wagner Family Tree.